In 2016, the Coordinated Science Laboratory celebrated 65 years of landmark accomplishments. Illinois faculty founded CSL in 1951 to conduct classified military research in response to the Korean War. Now declassified, the laboratory continues to develop breakthrough technology that transforms the way we live, work, and play. We invite you to take a look at how CSL has contributed to disciplinary excellence in an interdisciplinary way over the decades. It was a time of strength and prosperity in the United States. The nation had emerged from World War II as a world leader, and it had placed a war hero in the White House. Beneath it all, however, ran an undercurrent of tension. The Korean War ignited fears of a third world war, and the Cold War was just beginning. In response, the U.S. raised its commitment to research and development. One result was the University of Illinois Control Systems Laboratory (CSL), which opened its doors in 1951 and initially focused on military research. In CSL's first decade, the work was classified, the results dramatic. Giving New Meaning to "CSL"
When the Korean War ended, the laboratory saw the need to move in a new direction. In 1959, after a two-year transition period, CSL became an unclassified laboratory. To reflect its new direction, CSL changed its name to the Coordinated Science Laboratory, retaining the initials by which it was well known. In 1951, CSL was one of only a dozen institutions in the country to receive a Joint Services Electronics Program (JSEP) grant. Sponsored by the Army, Navy, and Air Force, JSEP provided a significant funding base for CSL through the late 1990s. CSL received one of the largest grants awarded. The unique contribution of Project Quick-Fix was a combination optical and electronic display unit, in which a composite radar picture was projected onto the underside of a transparent table. Four plotters around the table tracked aircraft using specially colored and numbered chips. The Northrup Aircraft Company went on to produce this new optical device, calling it Sky Screen. The device enabled a single operator to track several times as many aircraft as previously possible. In the 1950s, David Muller left his mark - and his name - on some of CSL's earliest work on the reliability of computers and communications systems. Reliability became a long-running theme throughout the laboratory's history. The theory of Reed-Muller Codes had a major impact on error-control coding theory. These codes later formed the basis for the coding systems used in modern code-division multiple access digital cellular technology. The Reed-Muller Canonical Network, a standardized formulation of Boolean circuits, is still used today for logic verificationdetermining whether circuits have been correctly designed. The Muller C-Element became a basic building block for self-timed asynchronous circuits. In the 1950s, football fans noticed a small, wooden shack perched high atop the west stands of U of I's Memorial Football Stadium. They didn't realize that this "secret shack" was being used by CSL to develop breakthroughs in radar technology. Researchers tracked cars passing in front of the AT&T building on Route 45. During football games, CSL personnel made sure that no one tampered with the equipment inside. The bonus: Free football tickets and a bird's-eye view of the game. A key feature of this airborne Doppler radar was "moving target lock-on," which made it possible for the radar to lock onto and track a moving target. Stationary objects showed up in green, while moving targets showed up in orange. The MTI (moving target indicating) sentry radar was small enough for soldiers in Korea to carry on their backpacks and set up anywhere. This was the first radar to produce a sound instead of a visual image, so sentries did not have to watch a screen. Used in combat in Korea, the sentry radar was especially effective in maintaining vigilance at known traffic points under zero-visibility conditions. It could locate and recognize a man walking or crawling, as well as the movement of groups or vehicles, for a range of up to five miles. The Cornfield System was a model of a naval air-defense system designed to track radar hits on aircraft. It was one of the first applications of digital computer technology to complex decision-making. Elements of the system were incorporated into the U.S. Navy Tactical Data System. The project was dubbed "the Cornfield System" to reflect the oddity that a Navy defense system had been developed in the midst of an ocean of Illinois corn. CSL's side-looking airborne radar was used in Germany to peer across the Iron Curtain. This thin, 18-foot antenna was mounted along the side of an aircraft, permitting the plane to fly parallel to a border and see laterally into enemy territory for a 40-mile range. CSL conducted the first demonstration of synthetic aperture radar imaging (SAR), which has extremely high resolution. SAR spread across the world and is commonly used for reconnaissance flights. Over the years, CSL has maintained a clear sense of direction. So it is only fitting that one of its earliest inventions was the electric vacuum gyroscope - a "super compass" as some called it. The electric vacuum gyroscope became the central component of the inertial navigation system, which made it possible for nuclear submarines to navigate the seas of the world while submerged for months. Within the gyroscope, electrical forces held a 2-inch beryllium ball a few thousandths of an inch away from encircling metal plates and within a vacuum. Free of mechanical and air friction, the ball could spin for years without appreciable slowdown. Dramatic cultural change marked the turbulent 60s. Change was also evident at CSL, which expanded its interdisciplinary mission and broadened its focus. Systems became the emerging theme. CSL built a world-class reputation in control, computer, and communication systems, developing theories and creating landmark inventions 30 years ahead of their time. Throughout this dynamic decade, CSL led the world in reliable computing. Sundaram Seshu developed one of the first automatic test generators for sequential circuits. It was used to test circuits in the ILLIAC series of computers and the first electronic telephone switching system at Bell Labs. Gernote Metze and students laid the foundation for formal fault-modeling and self-checking systems, which are critical to the reliability of today's networked systems. Franco Preparata, Gernot Metze, and Robert Chien introduced system-level diagnosis - the rules by which one machine can diagnose another. This model had a major influence on the development of fault-tolerant computing. T. Kasami formulated what became known as the Kasami Sequences and the Gold Sequences. These are among the most powerful linear sequences for direct-sequence, spread-spectrum systems. This first systematic class of nonlinear, double-error-correcting, binary block codes outperformed the best comparable linear codes. The unusual properties of the Preparata Codes piqued the interest of many researchers and influenced coding theory for decades. While some researchers were doing work that applied to deep-sea submarines, others were reaching for the skies. Researchers launched Nike-Apache rockets from Wallops Island in Virginia and Lima, Peru - opposite ends of the same magnetic field line. In the upper atmosphere, the rockets measured electron density and Faraday rotation, which affect the propagation of radio signals. "Control" was no longer in CSL's name, but it remained central to its work. CSL's reputation in control systems became firmly established in its second decade as it pioneered the study of the fundamental properties of feedback. CSL developed several influential sensitivity principles. These mathematical models enabled engineers to design systems that functioned in uncertain, unanticipated situations and changing environments. Researchers pioneered the use of singular perturbations in designing control systems with slow and fast dynamics. This led to a popular design methodology widely used in automotive controls, power systems, aircraft and spacecraft trajectories, chemical kinetics, and flexible robots. CSL became a leader in dynamic gamesfinding the optimal performance of dynamic systems in which there are multiple goals and decision-makers. Dynamic games commonly apply to large systems such as interconnected power grids, battlefield command and control environments, and international arms races. In its early years, CSL was housed in the attic of the physics building and then in an abandoned power house. In 1967, the first CSL building was completed, giving the laboratory an established base of operations. CSL helped to lead the transition from the days of bulky vacuum tubes to the era of transistors and electronic circuits. It was among the few laboratories to work on computer-aided circuit analysis and design in the early 60s. CSL researchers were recognized worldwide as leaders in developing graph-theoretic algorithms for the analysis, design, and fault-diagnosis of electronic circuits and systems. Researchers developed the first computer program for the analysis and design optimization of broadband microwave circuits. The program was used by NASA and the U of I Antenna Laboratory, and led to commercial computer programs a decade later. CSL had the distinction of creating the first computer-assisted instructional system in the world. Its name: PLATO, or Programmed Logic for Automatic Teaching Operations. In the first generation of PLATO, users sat at a station resembling a telephone booth. They faced television screens and communicated with the computer using a keyboard that looked like a typewriter. PLATO profoundly influenced computer-based education systems throughout the country. The legacy of Mac Van Valkenburg looms large in CSL history. He recruited renowned researchers and established an internationally known program in systems. He also organized the first Allerton Conference on Circuits and Systems - an international, retreat-style forum where researchers exchange and test new ideas. It remains one of the premier conferences on system theory. In the 1960s, CSL invented tools that pushed the limits in the science of measurement. Wilfred Schuemann's gauge measured pressure in ultra-high vacuums - pressure tens of thousands of times lower than could be measured before. The gauge was widely used in laboratories to simulate the ultra-high vacuum conditions of outer space and to calibrate gauges aboard satellites. It was also used in studies that involve ultra-clean surfaces. CSL pioneered the use of the field ion microscope to observe and measure the movement of atoms on solids. This ability is crucial in the growth and evaporation of crystals and thin films - the foundation of electronic devices. From Silicon Valley to the Silicon Prairie, the work of the 70s laid the groundwork for the personal computer revolution of the 80s. CSL explored all levels of electronics, expanding research on semiconductor materials and devices - the solid-state foundation on which microchips are built. CSL researchers filled the need for improved circuit design tools. CSL developed fast numerical algorithms that could predict the steady-state response of nonlinear oscillatory circuits and switched capacitor circuits. The algorithms were used in several experimental computer programs for analyzing and designing VLSI circuits. They also led to commercial products. CSL's new algorithms could identify a single fault in an analog circuit from a minimum set of test-point measurements. It's difficult to control large, dynamic systems that consist of interconnected subsystems. But CSL met the challenge. CSL established fundamental principles of hierarchical control architectures. Some research applied to large, interconnected, centrally controlled systems, such as an automated highway. Other research applied to systems with many interconnected decision-makers, such as the U.S. power system. Researchers showed how singular perturbations and time-scale methods could be used to discover key relationships between slow-fast dynamics and weak-strong interconnections. Results were used in such large-scale systems as the U.S. power grid, the GE-Ontario Hydro program, aerospace applications, and the avoidance of obstacles by robots. CSL developed the method of nonlinear composite control. This was critical because analyzing and controlling nonlinear systems for stability is more difficult than it is with linear systems. With nonlinear systems, build-up to instability can be rapid or even instantaneous. CSL initiated a long-range program in spread-spectrum communication, which is now known as code-division multiple access, or CDMA. With spread-spectrum, a radio signal is spread over a wide range of frequencies - an effective way to hide the signal from an enemy. CSL's spread-spectrum work led to widely used methods for signal design and the performance analysis of communication systems. Researchers designed the synchronization sequence in the Army's SINCGARS spread-spectrum radio. Theoretical work has been compared to the scaffolding surrounding an edifice during construction. Without it, construction could not even begin. CSL has had a long history in building theoretical frameworks in many areas, including computational theory. CSL did seminal work in computational geometry, most notably with the 3-D convex-hull algorithm and planar point location. This research applied to many areas, including the interaction between robots and the world. In the 70s, CSL was one of the main centers for the emerging field of computational geometry. Franco Preparata's book, Computational Geometry, became the standard reference in the field. CSL invented cube-connected cycles, an architecture for massively parallel processing (MPP). MPP computer systems boost processing speeds dramatically and avoid some of the bottlenecks in handling information. CSL found new ways to overcome old limits on computing. The focus was speed, efficiency, and reliability. CSL built the first multiprocessor using microprocessors - a single computer system using multiple CPUs. Research led to unified techniques for modeling, analyzing, designing, and controlling pipelined processors. Pipelining is an advanced technique in which a microprocessor begins executing a second instruction before the first has been completed. CSL pioneered work on functional-level test generators for RAMs and microprocessors - tools to test for manufacturing defects in integrated circuits. Robots entered the workforce in 1961, primarily as mechanical arms. In the 70s, CSL helped to extend the reach of these machines. CSL made the first application in robotics of the theory of variable structure control using sliding modes. This control design theory made it possible to achieve high performance in robotics applications. CSL researchers were among the first to see the potential for machines to learn. 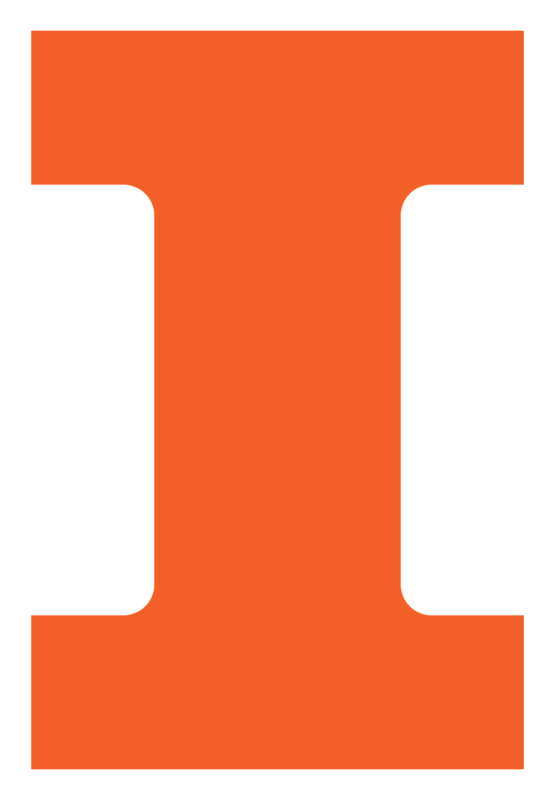 Robert Chien's interdisciplinary team did some of the U of I's earliest work on artificial intelligence. J.J. Thomson, the man who discovered the electron in 1898, had a favorite tongue-in-cheek toast: "To the electron. May it never be of any use to anybody." Today, of course, the electron is of use to everybody - thanks to electron tubes and semiconductor devices, which have unique properties for controlling electron flow. CSL explored new manufacturing processes for these semiconductor devices. CSL was among the first university laboratories to begin research in molecular beam epitaxy (MBE) and metalorganic chemical vapor deposition (MOCVD). MBE and MOCVD were valuable new processes for growing semiconductor crystals. These crystal lattices form the foundation for many electronic and photonic (light) devices, such as lasers in CD players and fiber optic lines. CSL demonstrated that ion implantation can be used with compound semiconductors, such as the technologically important gallium arsenide. Ion implantation, a vital step in the microchip manufacturing process, changes the electrical characteristics of precise areas on a wafer of semiconductor material. Prior to this research, it was believed that radiation damage would prevent ion implantation in compound semiconductors from achieving the same dramatic success as in silicon. CSL developed glow discharge optical spectroscopy, a technique for measuring trace concentrations in metal and semiconductor materials. While working on the transport of electrons in thin layers of semiconductors, researchers developed the idea of real space transfer. This concept is basic to the theory of high-speed (heterolayer) transistors. CSL began research on acoustic surface wave devices - an innovative technique in which acoustic surface waves are propagated along the surface of a crystal. This technique is still used today to filter signals in TV sets. It was the decade of diminishing dimensions. Hundreds of thousands of components could now be packed on a microchip the size of a thumbnail. But while components grew smaller, competition in the world of electronics grew fiercer. With U.S. supremacy in semiconductors being challenged, the nation invested more in basic research. Large, multidisciplinary research centers sprang up in university laboratories across the country, CSL included. CSL professors played a key role in establishing two internationally respected centers of research at U of I: the Beckman Institute for Advanced Science and Technology and the Center for Supercomputing Research and Development (CSRD). The Beckman Institute, with which CSL collaborates extensively, is the largest university-based multidisciplinary research institute in the world. CSRD was known worldwide for its work on the Cedar supercomputer. CSL began research on nanoscale devices, which are less than 1 micron in size. (A human hair is approximately 50 microns in diameter.) To carry out research in the realm of the ultra-small, CSL professors helped to purchase an electron beam lithography machine. CSL developed techniques to fabricate and simulate quantum nanostructures - structures so small that traditional laws of physics do not apply. The exotic laws of quantum mechanics take over. Researchers routinely fabricated quantum wires and gallium arsenide nanoscale transistors. This method was developed at CSL. It is now a standard for simulating advanced devices. CSL and the Materials Research Laboratory established the EpiCenter, a world-class center for new research in microelectronics materials and devices. With National Science Foundation support, researchers helped to form the Center for Compound Semiconductor Microelectronics. CSL was actively involved with the Center, which conducted research on compound semiconductor materials and opto-electronic devices, circuits, and systems. Illinois' first scanning tunneling microscope was constructed at CSL. The STM technique made it possible to observe molecules, chemical reactions, and the nanoscale surfaces of conducting solids. It's a little known fact that a movie star and a musician co-invented and patented a major communications system during World War II. Hedy Lamarr and George Antheil devised frequency hopping as a method for communicating with radio-controlled torpedoes. A radio signal whose carrier frequency changes at regular intervals is said to "hop" in frequency from one band to another. Frequency hopping spreads the signal spectrum over a wide band and helps to hide it from interceptors. However, this form of spread-spectrum communications did not become popular until the 1980s, when researchers, such as those at CSL, brought it into the limelight. CSL used the detection of collisions - two transmitters using the same frequency at the same time - to significantly improve the performance of coded frequency-hopped communication systems. Researchers developed robust communication systems that perform well, even when the models for noise and interference are not precisely known. Adaptive controllers and manufacturing systems were among the major themes in the control work of the 1980s. CSL work led to an understanding of the mechanisms that can cause an adaptive control system to become unstable. It also led to mechanisms that make adaptive controllers robust. Proof was provided for the convergence of self-tuning adaptive controllers. Convergence occurs when such a controller is tuned to the optimum point. CSL pioneered a modern, dynamical, systems approach to the analysis and scheduling of manufacturing systems. Scheduling algorithms reduced the length of a silicon wafer's production cycle by 15 percent. New methods for analyzing the performance of queuing networks - systems in which jobs line up - triggered resurgence in the entire field. In the 1980s, CSL solved two significant problems in robotics. Algorithms developed at CSL solved the difficult problem of controlling robots with flexible joints. Later, a second solution to the flexibility problem was implemented in industrial robots, including a robot project at the German Aerospace Center. Researchers found a solution to a 25-year-old robotics problem - how to prevent force-reflecting teleoperators from becoming unstable when even a small time delay exists in the communication channel. In a standard teleoperator system, signals are communicated between a master robot and a slave robot. If the signal must be sent over a long distance, creating a time delay, the system becomes unstable. CSL's solution aided in the control of different types of robots, including space-based and underwater robots. The expansion of computer networks in the 1980s raised issues in routing, reliability, and information security. CSL did cutting-edge work on the scheduling and routing of information packets in computer communication networks. This was one of CSL's first results in information security. It protected information against inadvertent damage and covert tampering. The powerful sigma-rho delay calculus showed how to derive tight bounds on the end-to-end delay for packet communication networks, depending on the load the network has agreed to carry. U.S. industry responded to intense foreign competition in the 1980s by forming the Semiconductor Research Corporation (SRC), a nonprofit organization that funds basic semiconductor research at universities. SRC established CSL as a lead institution in the design of reliable very large-scale integration (VLSI) circuits. In addition, SRC and NASA support spawned CSL's first center - the Center for Reliable and High-Performance Computing. Researchers developed techniques for fast circuit, logic, timing, and fault simulation. These techniques were used for computer-aided design (CAD) of VLSI circuits and in parallel CAD algorithms. The techniques are used today in many commercial CAD tools. CSL created the first algorithms for the failure analysis and diagnosis of semiconductor chips. CSL led the way in automatic test generation for large sequential circuits. This research spun-off into Sunrise Test Systems, a major supplier of automation tools to test semiconductors. In the past, our most valuable cargoes were carried by ships that cut across ocean waves. Today, information is one of our most precious commodities, and it too is being carried on waves. All around us, information encoded in signals is being carried by sound waves and electromagnetic waves. To process these signals in an increasingly digital world, a signal- and image-processing group took shape within CSL. CSL hit upon a novel and elegant linear approach to estimating the 3-D motion of objects from a sequence of 2-D images. This work had a major effect on computer vision, video compression, and computer animation. It was applied to the Moving Picture Experts Group standard, or MPEG, which is the standard for presenting digital video on computers and the Web. Researchers found that synthetic aperture radar works on the same principle as x-ray computerized tomography. This discovery created tremendous cross-fertilization between these fields and later led to improved radar image reconstruction algorithms. CSL developed a large body of theory on reconstructing signals and images from limited observations. By applying known signal constraints in the reconstruction process, researchers improved signal and image fidelity in a variety of applications. Researchers devised signal processing for helical scan tomography, in which a patient is moved continuously through a CT scanner to form 3-D images. This approach became standard in the CT industry. CSL won a major VHSIC contract to build reliable very high-speed integrated circuits. This research broke new ground in computing. CSL researchers were behind the theory and implementation of algorithm-based fault-tolerant computer systems, giving rise to a major research area. CSL's cost-effective memory-repair algorithms were heavily used in dynamic random access memory (DRAM). Researchers also created memory system designs that could tolerate radiation. The recomputing with shifted operands (RESO) technique used time redundancy to achieve the first unified error detection method for arithmetic and logic operations. Charles Babbage shocked listeners in 1833 as he spoke of his audacious dream - creating a machine that could execute calculations by steam. Dreams of computing machines go almost as far back as dreams of space exploration. So it is only appropriate that the computer is what made precision landings on the moon technologically feasible. Since then, computers and space have been inseparably linked, and CSL has been a part of the adventure. In the 1980s, CSL and the Department of Computer Science created a NASA Center for Excellence in Aerospace Computing. Researchers developed fault-tolerant designs for mission-critical computer control systems. This work was applied to Pratt and Whitney jet engine controllers being tested at NASA. Designs included new checkpoint and rollback error-recovery techniques, which evolved into today's techniques for protecting critical financial systems. Theoretical results included the impossibility of agreement between asynchronous, fail-stop processes. CSL created tools and techniques for monitoring, measuring, and evaluating highly reliable computer systems. This work included the first sampling-based simulation of large cache designs. Load-dependency measurements performed on IBM systems and the resulting models had a major impact on dependability evaluation. CSL developed an early cluster architecture (NETRA) for use in computer vision and imaging, which are vital in space exploration. This protocol solved the problem of ensuring that several processors on the same board have a consistent set of cache data between them. The Illinois Protocol is crucial to high-performance computing, such as mission-critical systems. The Internet spun its Web in the 1990s, connecting computers around the globe. However, as the connected community took shape, new risks arose - network failures and malicious hackers. CSL stepped in with innovative solutions to both problems. It became internationally known for its work on the end-to-end reliability, survivability, and security of the networked environment. Today's society depends on secure Internet transactions of all sorts. The government, the military, the universities - everyone depends on cryptography to protect their systems. Seeing the growing need for e-security, CSL established the Illinois Center for Cryptography and Information Protection in 2000. The Center is the first multidisciplinary center in the United States devoted to mathematical cryptographic research and information security. Professors concentrate on elliptic-curve cryptography and hyper-elliptic curve cryptography, as well as RSA, the dominant cryptography technique to this point. They also work on "electronic watermarking" to protect intellectual property on the Internet. Maximizing an IT system's ability to survive hostile attacks and accidental faults while delivering timely performance continues to be a major research focus at CSL. One use of a robust control system is to ensure that a satellite will reach its orbit even in the event unknown factors force it off its planned trajectory. CSL's control work in the 1990s zeroed in on robust control theory, which deals with how to design controllers that maintain a system's stability, despite unknowns in the model. CSL successfully applied a game-theoretic approach to robust control. In this approach, the control problem is looked at as a two-player game: the controller versus uncertainty. The goal is for the controller to safeguard the achievable performance from the worst that can happen. CSL developed the new concept of cost-to-come, a counterpart to cost-to-go. This theory was widely used to control nonlinear systems in which measurements are corrupted. CSL developed a comprehensive decomposition and aggregation theory for analyzing and synthesizing controllers in large-scale, uncertain systems that exhibit fast and slow dynamics. New necessary and sufficient conditions and new efficient global optimization methods solved problems in NASA Mars planning, financial engineering, and image processing. CSL co-developed a smart ice-management system for airplanes, which senses in-flight ice buildup on an airplane. The system alerts the pilot, prevents the plane from making dangerous maneuvers, and adapts the flight control system to icing conditions. Ice buildup can pose serious danger because it affects an airplane's aerodynamics. Also, when pilots lack crucial information about icing, they sometimes make misinformed decisions. If you build it, they will come. 1993 saw the construction of CSL's new building on the site of the old Illinois baseball field. This state-of-the-art building was designed for high-speed networks. The theory behind cellular telephony dates back to the 1940s, although it wasn't until the 90s that the technology had advanced enough to put the theory into practice. Anticipating the burgeoning interest in wireless communication in networking and mobile computing, CSL expanded its efforts in these areas. Researchers formulated innovative universal receivers for CDMA communications. They also discovered new, efficient methods for acquiring spread-spectrum signals, suppressing interference, and equalizing CDMA receivers. Today, some of these techniques are being incorporated into third-generation cellular telephone systems. Internet network protocols, such as TCP/IP, were designed for wireline networks and do not work well in either wireless or hybrid wireless/wireline networks. CSL improved the interfaces between the wireline and wireless portions of hybrid networks. CSL established important scaling laws for wireless networks - laws that predict how performance is affected as the number of nodes in a wireless network increases. By the 1990s, device dimensions had shrunk below 1 micrometer, and integrated circuits contained over 1 million transistors. At these dimensions, power consumption and reliability became major concerns in circuit design. The probabilistic power estimation technique made it possible to estimate, during the design stage, the power consumption of VLSI circuits. These techniques are now commonly used in tools supported by the electronic design automation industry. A new information-theoretic framework for deep-submicron VLSI circuits extended the lower bounds on the energy efficiency that a VLSI system can achieve. CSL invented digital calibration for high-resolution analog-to-digital converters, a technique now widely used in industry. This technique made it possible to convert signals from analog to digital without distortion. A new reliability simulator modeled and analyzed electrothermal and electrostatic discharge (ESD) failures in the I/O of VLSI circuits. In collaboration with others, CSL established a test-bed for studying electro-optic ATM networks. A fiber optic and electro-optic system tool kit was developed for simulating optical interconnect systems. In the year 2000, CSL emerged at the forefront of a major information technology initiative by the National Science Foundation. Of the $90 million in research awards, CSL received $7.8 million - more than any other laboratory in the country. With these and other grants, CSL continues to explore reliability, survivability, and information protection in wireless communications. CSL is also laying the foundation for network-based control, in which objects, such as an automated highway system or surgical robots, can be controlled through a wireless network or the Internet. It was a sign of the times. In 1997, a supercomputer became the first machine to defeat a world chess champion. Meanwhile, CSL researchers explored new possibilities in machine intelligence, robot control, and computer vision. This camera was a major breakthrough in computer vision. Human eyes focus on objects almost instantly, but cameras take time to focus mechanically. The Omnifocus Camera solved this problem by keeping the entire field of vision in focus at all times. What's more, the camera was equipped for stereo vision to create 3-D images. In addition to its use in robotics, the Omnifocus Camera has important applications for surveillance and high-zoom cameras used by doctors in surgery. CSL created the Air Hockey Robot, an intelligent machine that can go one-on-one with a human in air hockey. This robot tested the integration of nonlinear control theory, real-time computer vision, and machine learning. CSL forged an increasing number of industry links in the 1990s. Major software applications supported the design of reliable and high-performance integrated circuits and large-scale computer systems, and enabled web-based learning. Tools such as Chameleon, IMPACT, UltraSAN, PROMIS, Mallard, and Teacher influenced research and were licensed extensively in academia and industry. CSL developed low-power, fault-tolerant, high-performance, scalable computing technology for the Jet Propulsion Laboratory's new generation of spacecraft. Intel's line of IA-64 microchips incorporated innovative technologies based on CSL's work on compilers. Professors and former students took their expertise and research into the marketplace in a big way, founding a wide variety of high-tech companies. The Space Science and Remote Sensing research group joined CSL in the 1990s. Its work took researchers from one end of the planet to the other - literally. CSL researchers flew over the North Pole and made the first-ever temperature measurements in the middle atmosphere above that region. Researchers began constructing a temperature profile at the South Pole from base altitude up to a height of 65 miles - something no other system had managed to do. One goal was to come up with a data set that can be used as a reality check for weather models. The atomic landscape may seem as remote as a moonscape. But the activity that takes place in this submicron world is anything but distant to everyday life; it is foundational to electronics. CSL's research in the 1990s included work at the atomic level. Researchers discovered that processing microchips with deuterium, rather than hydrogen (the standard process), significantly improved the reliability of microchip circuits. Deuterium can also extend the lifetime of chips between 10 and 50 times. CSL was the first to document that atoms can make long jumps, moving more than one atomic space at a time. CSL pioneered the growth of gallium nitride by molecular beam epitaxy. Using dual plasma nitrogen sources, researchers achieved a gallium nitride growth rate of over 0.5 micrometers per hour. Gallium nitride is an essential semiconductor material for the fabrication of blue lasers. Blue lasers are used to increase the density of storage on DVDs and CD-ROMS, as well as for energy-efficient lighting. Researchers developed the first self-assembled quantum wire laser that emits in the visible spectrum range. Quantum wire lasers have important applications in fiber communication. Researchers developed techniques to fabricate and simulate quantum dots for single-electron charging and spin-control effects. A quantum dot is the ultimate in nanoscale devices - a single electron confined in a zero-dimensional box. Researchers hope that by manipulating the spin of single electrons, these electrons can be used to encode and store information - an ultra-small transistor, so to speak. A quantum dot would make the transistors of the 90s seem as large and bulky as the vacuum tubes of the 50s. Algorithms have been described as "the poetry of computation." But it's poetry with a practical purpose - as CSL's research in signal and image processing clearly demonstrated. New adaptive algorithms separated signal components, making it possible to tune-in FM radio stations more effectively - or to separate one bird call from another. CSL algorithms, based on wavelets and other techniques, set world records for efficiency in the compression of images and video for storage and transmission. CSL pioneered the use of relevance feedback in image retrieval. This made it possible for users to search for images according to example and similarity of image features, such as color, texture, shape, and structure. Researchers devised optimal strategies for selecting sampling patterns in the digitization of signals, images, and time-varying scenes. Important applications included communications and magnetic resonance imaging. Fast algorithms from CSL made it possible to reconstruct computer tomography images at far greater speeds - an increase on the order of 50 to 100. This work was applied to image formation in synthetic aperture radar with similar success. Researchers developed signal-processing algorithms for a revolutionary new binaural hearing aid that could focus in a desired direction and remove interference, such as noise in a crowded room. Wires brought us the Internet, connecting the world in ways that most people never dreamed possible. But, ironically, wires have now become a barrier to further expansion. The direction of the future is toward a wireless world, which provides the mobility and flexibility that wires cannot. It's difficult to foresee the technology of tomorrow. But one thing is certain. CSL will be there to help build the infrastructure that makes these and other dreams possible. On October 2, 2017, CSL hosted a grand opening ceremony for the CSL Studio, a new interdisciplinary research space focused on solving grand societal challenges. The event featured remarks from many faculty involved in the creation of the CSL Studio, tours of the space, and a public reception that featured demonstrations from the Intelligent Robotics Lab, the ITI Power Grid Testbed, and the Health Care Engineering Systems Center.